Every day huge amounts of data are captured and with it our ability to harvest new biological insights to improve healthcare for everyone. The technological possibilities are vast. At the BioBeat18 summit: Disrupting biodata healthcare, leaders will explore how to build sustainable biodata healthcare businesses. The congress will take place on 15 November at the Wellcome Genome Campus. Ahead of the forum, we (Jo Mills, Entrepreneurship and Innovation Manager at the Wellcome Genome Campus, and Miranda Weston-Smith, Founder of BioBeat) talked to the opening speakers. ‘Using genomics to answer important biological questions is key’, says Maya Ghoussaini, Genetic Analysis Team Leader at Open Targets at the Wellcome Sanger Institute. Collaboration sits at the heart of Open Targets, a public-private initiative involving the Wellcome Sanger Institute, EMBL-EBI and five pharmaceutical companies. Maya and her colleagues are focused on making genomic data more accessible and applicable to enable diagnostic and therapeutic development. 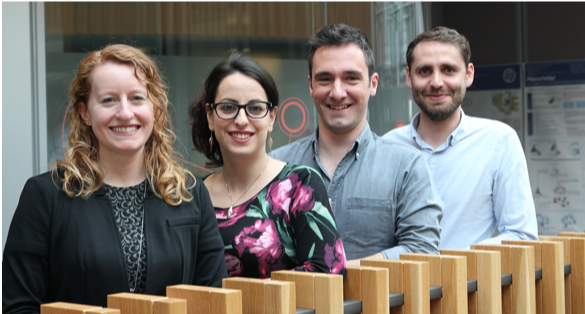 ‘The field is changing rapidly and we are finding that the skills we need are constantly evolving.’ Maya will be sharing an overview of the new Open Targets Genetics portal – just one of their collaborative endeavours aimed at transforming the drug development process. We met with Elin Haf Davies, CEO and Founder of aparito over a late breakfast in London. Elin will be talking about biodata and wearables alongside Maya Ghoussaini in the opening session at BioBeat18. Elin has a unique background as a paediatric nurse, with a PhD in neuroscience and, critically, experience with the European Medicines Agency. She understands the intersection of biodata with clinical trials. Aparito’s apps and wearables are used to monitor patients remotely between hospital-based tests, with a specific focus for use in clinical trials. Assessing how both the disease impacts on day-to-day life and how a new medicine might be working for them. 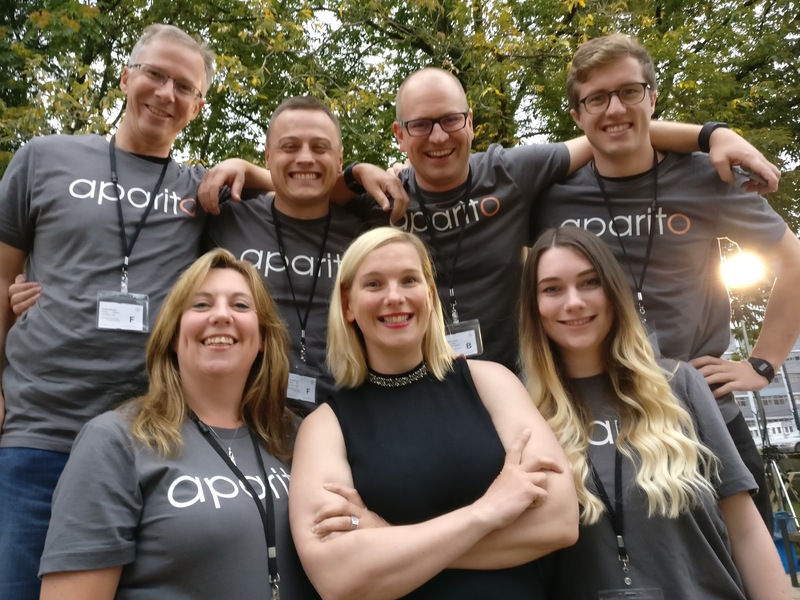 ‘To date, aparito has deployed its technologies for six different disease areas, in four different countries, gaining experience to the real-world and insight about the logistics and reality of implementing such remote monitoring solutions’, explains Elin. Elin’s entrepreneurial journey takes in a passion to personalise medicines alongside rowing across the Atlantic and Indian Oceans. Two wonderful speakers setting the scene at BioBeat18 by spanning the biodata pathway from research through to patients in the clinic. The 2018 summit, that starts in ten days’ time, will bring together research and commercial outlooks. It’s a call to action for scientists, clinicians, entrepreneurs and investors to explore the technological possibilities and innovative business models arising from the convergence of data and biology to deliver a healthier world. The BioBeat18 summit on Disrupting biodata healthcare will be held in the Kendrew Auditorium of the Wellcome Genome Campus, 1.30-6.30 pm, on Thursday 15 November 2018. Open to all. For more information please visit: www.wellcomebiobeat18.com.